New Canaan’s highest elected official said Tuesday that he’s rejected a proposal from a local organization seeking to preserve a brick structure on Richmond Hill Road that’s slated for demolition. “And they would find a tenant,” Moynihan told fellow members of the Board of Selectmen during the group’s regular meeting, held at Town Hall. His comments came during a discussion of general matters at the selectmen meeting. The NCPA representatives involved could not be reached for comment. Moynihan himself in May cast a tie-breaking vote to preserve $65,000, as part of a larger bonding package, to raze the 1901-built, two-story structure, opposite the bottom of Grove Street. A demolition permit application is expected to go to the New Canaan Building Department on Wednesday, Moynihan said. If the chief building official receives a formal objection to that demolition, the Historical Review Committee would meet to determine whether the structure has sufficient cultural, historical or aesthetic value to warrant a 90-day delay. “If we are going to make decisions about Vine Cottage, about the Irwin House building … we have to make choices,” he said. Please let’s get rid of that dreadful eyesore @ Mead Park once and for all. Typical New Canaan. That’s a shame. The park will be much more attractive with this gone. Nice for the Richmond Hill neighbors as well. Good decision. Lets think in a positive way. If restored it could be something beautiful. Must we always see the downside, the ugly side, the negative side? It’s historical even though it’s not formerly recorded as such. This useless eyesore must go! It is looming over Richmond Hill blocking the view of a beautiful town park and lake. The brick barn at Mead park has been honored by the State Historic Preservatiion Office by its listing on the Connecticut Register of Historic Places, formally recording its cultural significance to the Town of New Canaan. To many people, it certainly is preferable to a vacant lot, even in its unrestored state. Once the issues of the Town’s decade of neglect – the trim to be painted, the broken glass replaced, the area cut and weeded, and the structural issues are quickly taken care of with two supporting posts (to replace those removed by the town) inside where the horse stalls were, it has many uses, both privately and publicly. The New Canaan Preservation has raised the funds to accomplish these simple tasks. Originally, it housed teams of horses and a delivery wagon to take fuel stored in the two tanks behind it to farms and retail stores in town. The train that delivered the fuel stopped on the tracks as it crossed Richmond Hill Road, extended a long hose, and the fuel ran down the hill and into the storage tanks from which it would be put into small containers for delivery! It appears that the Town has NO consideration for its history and flagrantly dismisses important structures like a used kleenex. 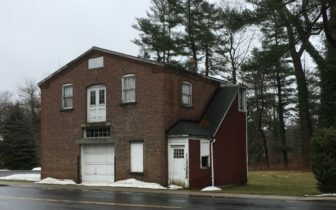 Although every town in Connecticut once had one of these delivery barns, this is the ONLY known one remaining and as such it has gained great value to historians. In addition, it is a reminder to New Canaanites of the factory district that once ran from the train station all the way to Richmond Hill, with steam spewing from their smoke stacks while Mead Park was known as the “dismal swamp”! It is a shame to erase this useful clue to our heritage, and I hope the First Selectman is aware that he is destroying an important element in the understanding of the cultural history of the Town. The State has so many properties on the State Register the SHPO staff can’t even produce a database listing of them all. This makes the value of listing on the State Register questionable. “Properties are listed on the State Register by the SHPO’s Historic Preservation Council following review and recommendation by the SHPO staff. Since 1975, over 75,000 properties owned by private citizens, organizations, municipalities and the State of Connecticut have been listed on the State Register. As a resident of Richmond Hill Road, I applaud Mr. Moynihan’s resolve in finally trying to rid the neighborhood of this eyesore. After its demolition, it will not be a “vacant lot” as Ms. Findlay describes it, rather there will be an uninterrupted view of Mead Park from Richmond Hill and Grove that will be lovely. I believe that the vast majority of those who actually live in the neighborhood will be very glad to have it gone. My understanding of the 90-day demolition delay is that it is to provide sufficient time for historians to document the structure prior to its removal. As Ms. Findlay points out, since the structure has already “gained great value to historians” and been well documented by her group and others in recent years, the 90-day delay should be unnecessary and demolition should hopefully be able to proceed expediently. 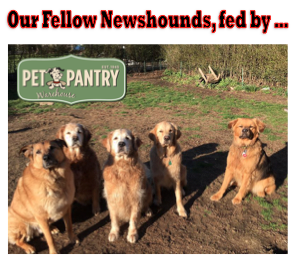 For 15 plus years we (town of New Canaan) have searched in good faith to find a use for this garage that the community can support …. without success. We have many other buildings that need funding and our focus. Let’s choose which buildings to fight for prudently. I agree with Mr. Hubertus. As New Canaanites united for the common good, we need to choose our Preservation battles carefully. To all those who oppose the demolition plan, put yourselves in the position of the Richmond Hill residents. Bulldoze it or replace with a glass building to avoid the speed trap; it is impossible to stay <25 on that hill. Please keep in mind that in addition to cosmetic and structural improvements this building would need to be compliant with all accessibility codes as outlined in both the CT State Building Code and the Americans With Disabilities Act. As a former treasurer of the NCPA, I can say that the organization is not only an advocacy group but has also fund raised to preserve and restore structures including Waveny. A very dedicated set of members raised monies to restore the fireplace at Waveny in partnership with the town, spent NCPA funds on writing and researching for getting Waveny on the state register where it can now qualify for reimbursement funds for restoration for the town’s benefit and have worked in partnership with other organizations to preserve and restore buildings. The research and application alone on Waveny can cost in the neighborhood of $30K. This came from the NCPA. To malign or paint this organization as solely a group of activists is untrue.